I wanted to end Artmas 2014 with a heartwarming image. 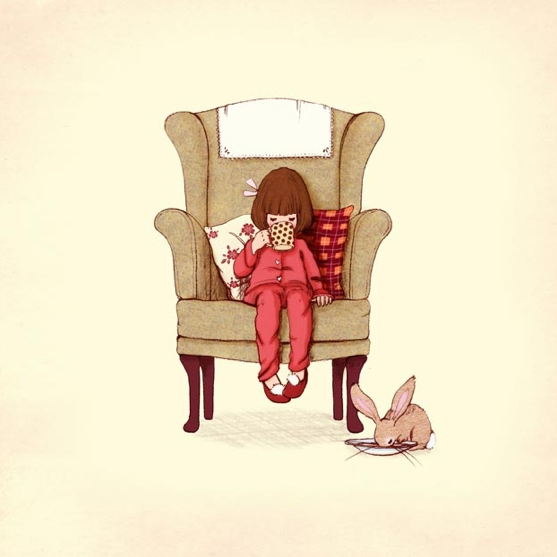 This Belle & Boo illustration captures one of my favorite Christmas morning rituals: waking up early and sipping hot chocolate on the couch in my slippers whilst waiting impatiently to read the Christmas story and open presents with my family. This year was different and very untraditional, but I know that next year or the year after that or the year after that I will return to my normal routine. I hope you enjoy the nostalgia of this illustration! Belle & Boo products are meant for children so if you have kids, perhaps you should check out the website. Only 364 days until Christmas so stay merry!! Hot Chocolate. Web. 26 Dec. 2014.